It’s my blog. Or it was, until I failed to renew my domain and someone snatched it up! If you are that person and you are reading this, please consider giving it back to me. Look at my history. 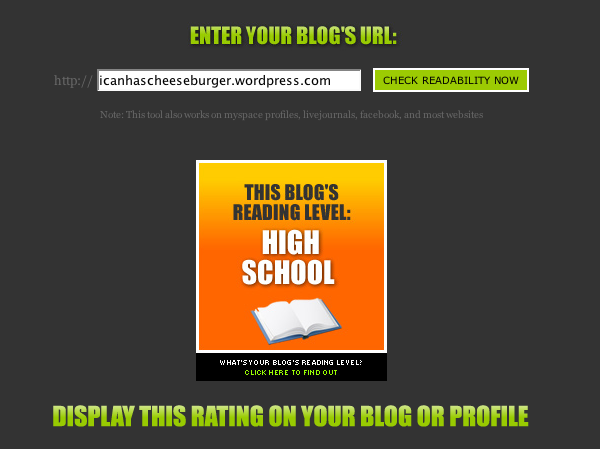 See how far my blog posts go back? Look at my last name! Don’t I deserve to have the domain “clubfritch.com”? I think so. If you are willing to let me have it back, please send me a comment and let me know. I will be forever grateful! My homemade raw milk yogurt cheese! I love cheese. I grew sad when commercially produced cheddar started giving me harsh pains in my gut. 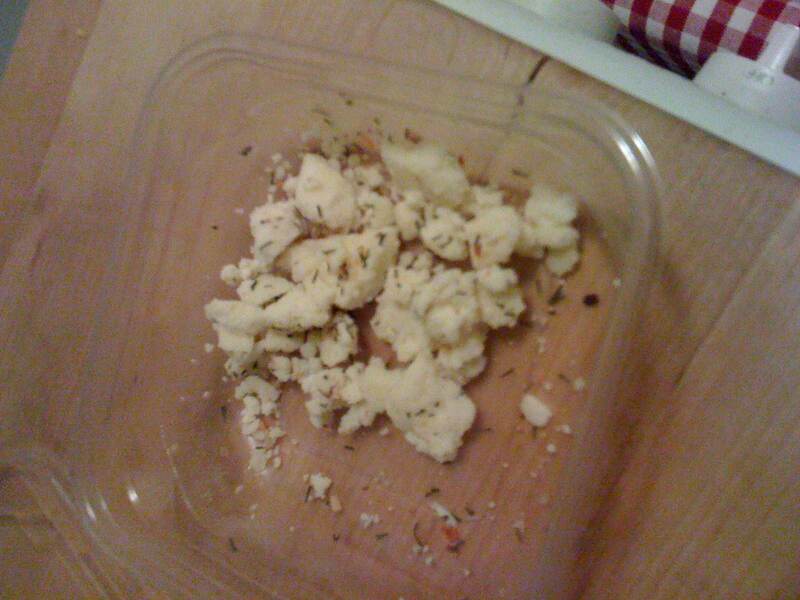 I started eating only feta, and other crumbled cheeses including goat cheese, since they didn’t cause me pain. Then I got into making my own yogurt. Then I discovered raw milk. Then I discovered raw cheese! So I tried my own raw milk yogurt cheese. Also known as labneh (but I didn’t know what it was called at the time). But since it’s hard to make cheddar and gruyere and swiss, I’ve been buying the raw hard cheeses from Trader Joes! Imagine my delight when I came across this blog giveaway today! Jenny, over at Nourished Kitchen is hosting a giveaway with Cultures for Health. Both websites are great resources for people interested in whole foods that are prepared well. By blogging about the giveaway I’ve officially entered myself in the drawing! I would love to learn how to make feta or chevre and then graduate to more complicated cheeses! For now, I’m content with my yogurt cheese. But someday, I’ll want to know that my raw hard cheeses are coming from the same local happy grass-fed cows that my gorgeous raw milk is coming from. I’ve recently been reading a great screenwriting blog hosted by John August, writer of Corpse Bride, Charlie and the Chocolate Factory, Big Fish, Charlie’s Angels, and Go, among others. Recently he sent his assistant Matt to a Writers Guild Foundation event in Beverly Hills featuring Roberto Orci and Alex Kurtzman who wrote Star Trek. Matt took notes and wrote a lovely little blogpost highlighting much of what he learned from the interview. The comments on this blog post were also an entertaining read and I was motivated to respond to a commenter named Kevin who basically lambasted Orci and Kurtzman for making what he called “crap movies” that were “garbage” and “forgettable.” Admittedly an old and tired complaint. Kevin wondered “why just being a writer-for-hire is enough for most screenwriters” and hoped that the internet and the development of a new distribution structure would make it possible for “intelligent” films to reach the masses. The internet can help us become healthier? Who knew!? My phone all but died a week ago and so Ryan and I took the plunge and finally bought iPhone’s! I’ve been downloading apps each night and just ran across the WordPress app. I’d forgotten that it existed. I’m pretty excited about being able to blog any time, anywhere. 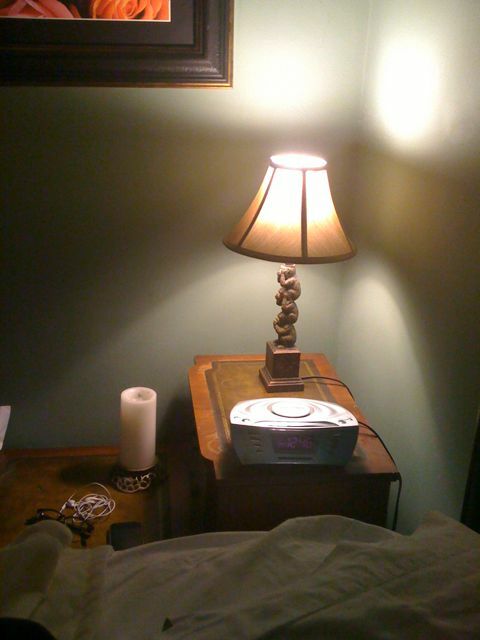 The photo is of the lamp that’s on right now next to my sleeping husband’s head. If you can tell me what really wrong with this picture, you’ve been living with “the internets” for far too long. The kids over at Holiday Insights can confirm most of these. Speaking of small businesses, if you’re looking for yarn or a place to teach you to knit, forget Target, shop at that yarn store over in Eagle Rock. What’s the name of that place again? The thing is, they seem very near to closing. They seem to understand market economy theory, just not how to market themselves. They appear to be trying to market themselves in a loosey goosey sort of way with their irregular hours and down home website. But if they want to compete with the big boxes, they’ve got to get up to speed with what today’s consumer wants and expects. In podunk Kansas, I’m sure that they’d have their finger on what their local consumer wants and expects. It’d be pretty obvious and most small business owners would understand it tacitly, being a direct part of the marketplace themselves. But in Los Angeles, the marketplace is one of the most cosmopolitan cultures in North America! You can’t assume you know what your market is going to need, want or expect. So you HAVE TO assume the worst. You have to assume that they want the box store feel. So how does a small business in a little midwest niche of Los Angeles compete with box stores? Well, among other things, by having regular hours. That Yarn Store is well-located. It has a big sign and seemingly lots of neighbourhood outreach. But they have to be able to reach out on many different levels: to the consumer who appreciates local and to the consumer who wants convenience, organization, and easy-to-remember hours. Consumers who know that Target is open 9 am to 9 pm don’t want to have to check That Yarn Store’s website before they leave their apartment to know what their hours are. Their hours should be easy to remember. Well that’s the end of my rant, here’s a link to their rant about why they might have to close their doors soon. I hope they don’t. I have several friends who knit. 26 WEEKS PP / 6 MONTHS!